1923. Geballe, Z. M., H. Liu, A. K. Mishra, M. Ahart, M. Somayazulu, Y. Meng, M. Baldini, and R. J. Hemley, Synthesis and stability of lanthanum superhydrides, Angew. Chemie., submitted. 1922. Ransom, T. C., M. Ahart, R. J. Hemley, and C. M. Roland, Vitrification and density scaling of polyurea at pressures up to 6 GPa, Macromolecules, submitted. 1921. Tanaka, K., J. S. Tse, and H. Liu, Electron-phonon coupling mechanisms for hydrogen-rich metals at high pressure, Phys. Rev. B., in press. 1920. Ying, J., X. J. Chen, N. L. Wang, X. J. Chen, A. G. Gavriliuk, I. I. Naumov, R. J. Hemley, I. I. Mazin, and V. V. Struzhkin, Fermi surface reconstruction in 2H-TaSe2 under high pressure mediated by interlayer interaction, Phys. Rev. X. 1919. Rodgers, J. M., R. J. Hemley, and T. Ichiye, Quasiharmonic analysis of protein energy landscapes from pressure-temperature molecular dynamics simulations, J. Chem. Phys, submitted. 1918. Bi, T., D. J. Miller, A. Shamp, and E. Zurek, Superconducting phases of phosporous hydride under pressure: Stabilization via mobile molecular hydrogen, Angew. Chem. Int. Ed., in press. 1917. Park, S., C. L. Tracy, F. X. Zhang, R. I. Palomares, C. Park, C. Trautmann, M. Lang, W. L. Mao, and R. C. Ewing, Swift-heavy ion irradiation response and annealing behavior of A2TiO5 (A = Nd, Gd, and Yb), Acta Mater., submitted. 1916. Romanowicz, B. and H. R. Wenk, Anisotropy in the deep Earth, Phys. Earth Planet. Inter., in press. 1915. Yue, B., F. Hong, N. Hirao, H. R. Wenk, B. Chen, and H. K. Mao, Variant selection in stress-driven martensitic transformation of Mn2O3, Nature, submitted. 1914. Fang, H., B. Yue, X. Wang, Z. Cheng, Z. Wang, M. Kunz, Z. Liu, B. Chen, and H. K. Mao, Toplogical insulator-metal transition in 2D Bi2Se3 nanoflakes, Science, submitted. 1913. Hong, H., B. Yue, Z. Liu, B. Chen, and H. K. Mao, The electronic behavior ands tructure stability of SrCoO2.5 under high pressure, J. Mater. Chem. A, submitted. 1912. Fang, H., B. Yue, X. Wang, Z. Q. Cheng, Z. Wang, M. Kunz, Z. Liu, B. Chen, and H. K. Mao, Pressure and structure driven toplogical insulator-metal transition in 2D Bi2Se3 nanoflakes, Nature Mat., submitted. 1911. O'Neal, K. R., B. Holinsworth, Z. Chen, P. Peterson, K. Carreiro, J. L. Manson, M. Whangbo, Z. Li, Z. Liu, and J. Musfeldt, Spin-lattice coupling in [Ni(HF2)(pyrazine)2]SbF6 involving the HF2 sperexchange pathway, Inorg. Chem., in press. 1910. O'Neal, K., J. H. Lee, M. Kim, J. L. Manson, Z. Liu, R. S. Fishman, and J. Musfeldt, Quantum phase transitions in a semiclassical system, Nature Comm., submitted. 1909. Zhang, H., Q. Li, B. Cheng, Z. Guan, R. Liu, B. Liu, Z. Liu, X. Li, T. Cui, and B. Liu, Structural transitions and metallization of monoclinic vanadium dioxide under high pressure, J. Phys. Chem. C, submitted. 1908. Naumov, I. I. and R. J. Hemley, Metallic surface states in elemental electrides, Phys. Rev. B., in press. 1907. Zha, C. S., J. S. Tse, and W. A. Bassett, New Raman measurements for H2O ice VII in the range of 300 cm-1 to 4000 cm-1 to 120 GPa, J. Chem. Phys., in press. 1906. Zhang, L., J. R. Smyth, J. Allaz, T. Kawazoe, and S. D. Jacobsen, Transition metals in the transition zone: crystal chemistry of minor element substitution in wadsleyite, Am. Mineral. 1905. Townsend, J. P., J. Tsuchiya, C. R. Bina, and S. D. Jacobsen, Water partitioning between bridgmanite and postperovskite in the lowermost mantle, Earth Planet. Sci. Lett., submitted. 1904. Palot, M., S. D. Jacobsen, J. P. Townsend, F. Nestola, K. Marquardt, J. W. Harris, T. Satchel, C. A. McCammon, and D. G. Pearson, Evidence for water in the lower mantle from ferropericlase inclusion in diamond, Nature Geosci., submitted. 1903. Childress, L. B. and S. D. Jacobsen, High-pressure high-temperature Raman spectroscopy of kerogen: relevance to subducted organic carbon, Am. Mineral., in press. 1902. Kavner, A., W-WO joins the electrochemical series, Am. Mineral., in press. 1901. 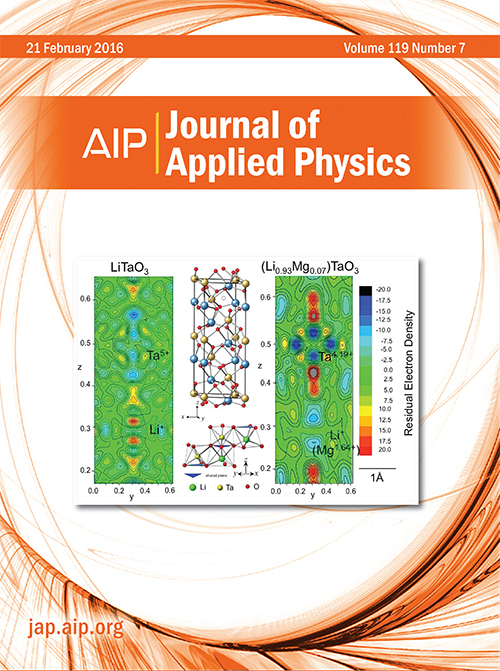 Maio, M., R. Hoffmann, I. I. Naumov, and R. J. Hemley, Quasimolecules in compressed lithium, Agnew. Chemi. Int. Ed., submitted. 1900. Jugle, M. and L. Miyagi, Deformation and transformation textures in the NaMgF3 perovskite→post-perovskite system, Am. Mineral., submitted. 1899. Gianetta, M., M. Jugle, and L. Miyagi, Orientation relationships and stress controlled variant selection during the B1 to B2 structural transformation in NaCl, Phys. Rev. B, submitted. 1898. Zhang, J. S., Y. Hu, H. Shelton, J. Kung, and P. Dera, Single crystal x-ray diffraction study of Fe2SiO4 fayalite up to 31 GPa, Phys. Chem. Min., submitted. 1897. Ahart, M., M. Somayazulu, D. Popov, Y. Xie, X. Long, Z. G. Ye, R. E. Cohen, and R. J. Hemley, Pressure-induced transitions in ferroelectric single-crystal PbZr0.54Ti0.46O3, Ferroelectrics, submitted. 1896. Hemawan, K. W. and R. J. Hemley, Microwave plasmas: Single crystal diamond synthesis, in Encyclopedia of Plasma Technology (Taylor and Francis, in press). 1895. Miyagi, L. and H. R. Wenk, Magnetic and nuclear structure of goethite α-FeOOH: A neutron diffraction study, Earth Planet. Sci. Lett., submitted. 1894. Ryu, Y., M. Kim, and C. S. Yoo, Phase diagram and transformation of iron pentacarbonyl to nm layered hematite and carbon-oxygen polymer under pressure, Sci. Reports, in press. 1893. Rainey, E. S. G. and A. Kavner, Heat flow in the core and mantle, AGU Mongraph, in press. 1892. Liu, W. L., W. P. Bassett, A. N. Christensen, and D. D. Dlott, Photophysics of fluorescent probes under shock compression, AIP Conf. Proc., in press. 1891. Naumov, I. I. and R. J. Hemley, Aromacity, closed-shell effects, and metallization of hydrogen, Acc. Chem. Res., submitted. 1890. Kaercher, P., E. Zepeda-Alarcon, V. Prakapenka, S. V. Sinogeikin, W. Kanitpanyacharoen, and H. R. Wenk, Preferred orientation in experimentally deformed stishovite: implications for deformation mechanisms, Phys. Chem. Minerals, submitted. 1889. Zha, C. S., R. E. Cohen, H. K. Mao, and R. J. Hemley, Raman measurements of phase transitions in dense solid hydrogen and deuterium to 325 GPa, Proc. Nat. Acad. Sci., submitted. 1888. Hemawan, K. W. and R. J. Hemley, Optical emission diagnostics of microwave plasma CVD single crystal diamond synthesis, JVST A, in press. 1887. Tracy, S. J., L. Mauger, H. J. Tan, Muñoz, Y. M. Xiao, and B. Fultz, Polaron-ion correlations in LixFePO4 studied by nuclear resonant scattering at elevated pressure and temperature, Phys. Rev. B, submitted. 1886. Kyono, A. and S. A. Gramsch, Influence of the Jahn-Teller effect on the structures of Fe-bearing spinels, Am. Mineral, submitted. 1885. Gramsch, S. A. and C. T. Prewitt, Crystal chemistry an structure of FeAl3 at high pressure, Phys. Chem. Minerals, submitted. 1884. Yamanaka, T., Y. Nakamoto, M. Ahart, H. K. Mao, and R. J. Hemley, Single-crystal x-ray diffraction evidence for pressure-induced changes in d-p electron hybridization in PbTiO3 and BaTiO3, Phys. Rev. B, submitted. 1883. Gu, T., Y. Fei, X. Wu, and S. Qin, High-pressure behavior of Fe3P and the role of phosphorus in planetary core, Earth Planet. Sci. Lett., submitted. 1882. Kono, Y., C. Park, C. Kenney-Benson, G. Shen, and Y. Wang, Toward comprehensive studies of liquids at high pressures and high temperatures: Combined structure, elastic wave velocity, and viscosity measurements in the Paris-Edinburgh cell, Phys. Earth Planet. Inter., submitted. 1881. Chen, X. J., J. B. Zhang, Z. X. Qin, T. Palasyuk, M. I. Eremets, Z. J. Xu, J. S. Wen, G. D. Gu, V. V. Struzhkin, and H. K. Mao, The life of a cuprate superconductor, Nature, submitted. 1880. Li, Y. L., W. Luo, Z. Zeng, H. Q. Lin, H. K. Mao, and R. Ahuja, Pressure induced superconductivity in CaC2, Proc. Nat. Acad. Sci., submitted. 1879. Kurakevych, O. O., T. A. Strobel, D. Y. Kim, and G. D. Cody, Synthesis of Mg2C: A magnesium methadine, J. Am. Chem. Soc., submitted. 1878. Chen, X. J., F. J. Jia, J. B. Zhang, Z. X. Qin, L. Y. Tang, L. J. Li, Z. A. Xu, J. Liu, V. V. Struzhkin, R. E. Cohen, and H. K. Mao, Pressure tuning of Fermi surface topology of optimally doped BaFe1.9Ni0.1As2, Phys. Rev. B, submitted. 1877. Chen, X. J., J. J. Ying, Z. X. Qin, Z. J. Xiang, H. Wu, Q. Z. Huang, T. Muramatsu, X. F. Wang, P. Cheng, X. H. Chen, W. Yang, V. V. Struzhkin, and H. K. Mao, Angular control of superconductivity in an aromatic hydrocarbon, Nature, submitted. 1876. Nakamoto, Y., M. Sakata, T. Yamanaka, K. Shimizu, Y. Meng, S. V. Sinogeikin, S. Kharlamova, V. V. Struzhkin, H. K. Mao, and R. J. Hemley, Superconducting Tc of 22 K and crystal structure of yttrium at megabar pressures, Phys. Rev. Lett., submitted. 1875. Walker, D. D., R., J. Li, and A. Buono, Nonstoichiometry and growth of some Fe carbides, Phys. Chem. Minerals, submitted. 1874. Chen, P. N. and H. K. Mao, Novel dense phases of methane, J. Chem. Phys., submitted. 1873. Dalton, D. A., R. S. McWilliams, V. V. Struzhkin, A. F. Goncharov, and M. F. Mahmood, Time resolved diagnostics for pulsed laser heating in diamond anvil cells, Proceedings of the 27th Army Science Conference, submitted. 1872. Ding, Y., Y. C. Tseng, E. Kaneshita, D. Haskel, M. van Veenendaal, J. Mitchell, and H. K. Mao, Loss of long-range ferromagnetic ordering in mangatite (La0.75Ca0.25MnO3) under pressure, Phys. Rev. Lett., submitted. 1871. Goncharov, A. F. and V. V. Struzhkin, Comment on "Conductive dense hydrogen" by M. I. Eremets and I. A. Trojan, Nature Mat., submitted. 1870. Kharlamova, S., V. V. Struzhkin, S. V. Sinogeikin, Y. Xiao, P. Chow, S. L. Bud'ko, N. Ni, and P. C. Canfield, Evidnece for strong correlations in Hund's regime from pressure induced spin crossover in the SrFe2As2, Phys. Rev. Lett., submitted. 1869. Zhang, L., Y. Meng, I. Kantor, and W. L. Mao, Experimental evidence for iron inrichment in (Mg,Fe)SiO3 post-perovskite relative to perovskite, Earth Planet. Sci. Lett., submitted. 1868. Duzynska, A., R. Hrubiak, V. Drozd, H. Teisseyre, W. Paszkowicz, A. Reszka, A. Kaminska, A. Durygin, S. K. Saxena, J. D. Fidelus, J. Grabis, C. J. Monty, and A. Suchocki, The structural and optical properties of ZnO bulk and nano crystals under high pressure, High Press. Res., in press. 1867. Galley, M., M. Pravica, and Z. Liu, Studies of melamine at high pressure using far- and mid-infrared spectroscopy, J. Chem. Phys., submitted. 1866. Gleason, A. E., B. Chen, and R. Jeanloz, Elasticity and refractive index of B1-phase NaCL at high pressure, High Press. Res., submitted. 1865. Goncharov, A. F., V. V. Struzhkin, J. A. Montoya, S. Kharlamova, R. Kundargi, J. Siebert, J. Badro, D. Antonangeli, F. J. Ryerson, and H. K. Mao, Spin crossover in iron and thermal conductivity in the Earth's lower mantle, Phys. Earth Planet. Inter., submitted. 1864. Zeng, Q., H. W. Sheng, Y. Ding, L. Wang, W. Yang, J. Z. Jiang, W. L. Mao, and H. K. Mao, Metallic glass with long-range orientation order, Nature, submitted. 1863. Murakami, M., A. F. Goncharov, N. Hirao, R. Masuda, and T. Mitsui, Reduction of radiative thermal conductivity in the deep terrestrial magma ocean, Nature, submitted. 1862. Souza-Neto, N. M., J. Zhao, E. E. Alp, G. Shen, S. Sinogeiken, G. Lapertot, and D. Haskel, Pressure-induced valence instabilities in f-electron systems: Beyond the bond-valence model, Science, submitted. 1861. Zou, X., B. B. Liu, Q. Li, Z. Li, B. Liu, W. Wu, R. Liu, D. Li, B. Zou, T. Cui, G. Zou, and H. K. Mao, High pressure studies of β-phase GeO2 nano particles, J. Phys. Chem., submitted. 1860. Lin, J. F., Y. Q. Cai, N. Hiraoka, T. Okuchi, E. Schwegler, Z. Jenei, and W. J. Evans, Dissociation of the high-density water by x-ray irradiation, J. Chem. Phys., submitted. 1859. Mao, Z., J. F. Lin, A. Alatas, and J. Zhao, Power-law velocity-density behavior of iron in Earth's inner core, Nat. Geophys., submitted. 1858. Zhu, Q., A. R. Oganov, C. W. Glass, H. K. Mao, S. E. Boulfelfel, P. L. Lee, and W. L. Mao, Structure predictions for molecular crystals using evolutionary algorithms: Methodology and applications, Proc. Nat. Acad. Sci., submitted. 1857. Mohanty, P., M. Weinberger, Y. Fei, and K. Landskron, Large-pore periodic mesporous quartz, J. Am. Chem. Soc., submitted. 1856. Mei, Q., G. Shen, V. Prakapenka, P. Lazor, S. V. Sinogeikin, Y. Meng, and C. Park, Helium effect on intermediate range order structure changes in SiO2 glass under high pressure, Phys. Rev. , submitted. 1855. Mao, Z., J. F. Lin, H. P. Scott, H. Watson, V. Prakapenka, Y. Xiao, and P. Chow, Stiff iron-rich silicate perovskite in the large low shear velocity provences, Nature, submitted. 1854. Lin, J. F., N. Hiraoka, T. Okuchi, Y. Q. Cai, E. Schwegler, and Z. Jenei, X-ray induced dissociation in liquid H2O at high pressure and temperature, Phys. Rev. B, submitted. 1853. Miyagi, L., W. Kanitpanyacheroen, S. Stackhouse, B. Militzer, and H. R. Wenk, The effect of grain size on Deformation and texture development in MgGeO3 post-perovskite, Earth Planet. Sci. Lett., submitted. 1852. Lin, D., W. Lei, Z. Liu, and Y. Lee, Spectroscopic study of pressure-induced phase transitions in natrolite, Phys. Chem. Chem. Phys, submitted. 1851. Zhao, Q., G. H. Wen, Z. G. Liu, Y. B. Fan, G. T. Zou, R. K. Zheng, S. P. Ringer, and H. K. Mao, A novel method for the synthesis of dense, crystalline CrO2 nanowire arrays using AAO template-assisted chemical vapor deposition, Adv. Mat., submitted. 1850. Ruiz-Fuertes, J., A. Karandikar, R. Boehler, and D. Errandonea, High-pressure melting of tantalum: Optical and scanning electron microscopy evidence of a flat melting curve, Appl. Phys. Lett., submitted. 1849. Seagle, C. T., D. Heinz, A. J. Campbell, and V. B. Prakapenka, Melting in the iron-sulfur system at core pressures, Geophys. Res. Lett., submitted. 1848. Niu, H., W. Sun, Q. Shan, H. Zhang, X. Chen, Y. Fei, and X. Yu, Deeply subducted oceanic gabbro back to the surface through serpentinite segregation, Science, submitted. 1847. Zeng, Q., Y. Ding, W. L. Mao, W. Luo, A. Blomqvist, R. Ahuja, W. Yang, J. Shu, S. V. Sinogeiken, Y. Meng, J. Z. Jiang, and H. K. Mao, Novel alloy of incompatible elements, Science, submitted. 1846. Ivanov, A. V. and K. D. Litasov, Transition zone water cycle and flood basalt volcanism, Proc. Nat. Acad. Sci., submitted. 1845. van Westrenen, W., J. Li, Y. Fei, W. Minarik, J. V. Orman, T. Komabayashi, and K. Funakoshi, In situ determination of magnesiowustite thermal equation of state to 25 GPa and 2073 K, Phys. Chem. Minerals, submitted. 1844. Singh, A. K., H. P. Liermann, S. K. Saxena, and H. K. Mao, Compressive strength of gold crystallites under pressure up to 60 GPa: observation of crystallite size effect, J. Appl. Phys., submitted. 1843. Singh, A. K., H. P. Liermann, and A. Jain, Compression of high-purity silver to 40 GPa in a diamond anvil cell: pressure dependence of strength and grain size from x-ray diffraction data, Int. J. Plasticity, submitted. 1842. Gavriliuk, A. G., V. V. Struzhkin, I. S. Lyubutin, S. G. Ovchinnikov, M. Y. Hu, and P. Chow, Reversible insulator-metal transition in BiFeO3 at high pressure, Phys. Rev. Lett., submitted. 1841. Vadapoo, R., M. Ahart, M. Somayazulu, R. Vadapoo, N. Holtgrewe, Y. Meng, Z. Konôpková, R. J. Hemley, and R. E. Cohen, Synthesis of polar ordered oxynitride perovskite, Sci. Reports, submitted. 1840. Perreault, C. S., N. Velisavljevic, and Y. K. Vohra, High-pressure structural parameters and equation of state of osmium to 207 GPa, Cogent Phys. 4, 1376899 (2017). 1839. Zepeda-Alarcon, E., Texture development and polycrystal plasticity of two-phase aggregates,Ph.D. Thesis, California Institute of Technology (2017). 1838. Rodgers, J. M., R. J. Hemley, and T. Ichiye, Quasiharmonic analysis of protein energy landscapes from pressure-temperature molecular dynamics simulations, J. Chem. Phys. 147, 125103 (2017). 1837. Ahart, M., D. Aihaiti, R. J. Hemley, and S. Kojima, Pressure dependence of the Boson peak of glassy glycerol, J. Phys. Chem. C 119, 6667-6672 (2017). 1836. Clarke, S. M., M. Amsler, J. P. S. Walsh, T. Yu, Y. Wang, Y. Meng, S. D. Jacobsen, C. Wolverton, and D. E. Freedman, Creating binary Cu-Bi compounds via high-pressure synthesis: A combined experimental and theoretical study, Chem. Mater. 29, 5276-5285 (2017). 1835. Guo, H., L. Zhu, H. T. Huang, A. Biswas, D. W. Keefer, B. L. Chaloux, C. Prescher, L. Yang, D. Y. Kim, M. D. Ward, J. Lerach, S. Wang, A. R. Oganov, A. Epshteyn, J. V. Badding, and T. A. Strobel, From linear molecular chains to extended polycyclic networks: Polymerization of dicyanoacetylene, Chem. Mater. 29, 6706-6718 (2017). 1834. Tracy, C. L., S. Park, D. R. Rittman, S. J. ZInkle, H. Bei, M. Lang, R. C. Ewing, and W. L. Mao, High pressure synthesis of a hexagonal close-packed phase of the high-entropy alloy CrMnFeCoNi, Nature Comm. 8, 15634 (2017). 1833. Ying, J., H. Lei, C. Petrovic, Y. Xiao, and V. V. Struzhkin, Interplay of magnetism and superconductivity in the compressed Fe-ladder compound BaFe2Se3, Phys. Rev. B 95, 241109(R) (2017). 1832. Zhang, R., W. Cai, T. Bi, N. Zarifl, T. Terpstra, C. Zhang, Z. V. Verdeny, E. Zurek, and S. Deemyad, Effects of nonhydrostatic stress on structural and optoelectronic properties of methylammonium lead bromide perovskite, Phys. Chem. Lett. 8, 3457-3465 (2017). 1831. Zha, C. S., H. Liu, J. S. Tse, and R. J. Hemley, Melting and high P-T transitions of hydrogen to 300 GPa, Phys. Rev. Lett. 119, 075302 (2017). 1830. Ackland, G. J., M. Dunuwille, M. Martinez-Canales, I. Loa, R. Zhang, S. V. Sinogeikin, W. Cai, and S. Deemyad, Quantum and isotope effects in lithium metal, Science 356, 1254-1259 (2017). 1829. Li, Q., X. Sha, S. Li, K. Wang, Z. Quan, Y. Meng, and B. Zou, High-pressure effects of Hoffmann-type clathrates: Promoted release and restricted intersion of guest molecules, J. Phys. Chem. Lett. 8, 2745-2750 (2017). 1828. Pravica, M., Y. Wang, Y. XIao, and P. Chow, High pressure resonant X-ray emission studies of WO3 and hydrogenated WO3, JJAP Conf. Proc. 6, 011102 (2017). 1827. Shim, S. H., B. Grocholski, Y. Ye, E. E. Alp, S. Xu, D. Morgan, Y. Meng, and V. B. Prakapenka, Stability of ferrous-iron-rich bridgmanite under reducing midmantle conditions, Proc. Natl. Acad. Sci. 114, 6468-6473 (2017). 1826. Sneed, D., M. Pravica, E. Kim, and P. F. Weck, High-pressure equation of state of cesium fluoride to 120 GPa, JJAP Conf. Proc. 6, 011101 (2017). 1825. Ye, Y., V. Prakapenka, Y. Meng, and S. H. Shim, Intercomparison of the gold, platinum, and MgO pressure scales up to 140 GPa and 2500 K, J. Geophys. Res. 122, 3450-3464 (2017). 1824. Zhang, J. L., S. J. Zhang, J. L. Zhu, Q. Q. Liu, X. C. Wang, C. Q. Jin, and J. C. Yu, Structural stability and phase transition of Bi2Te3 under high pressure and low temperature, Physica B 521, 13-16 (2017). 1823. Palomares, R. I., J. Shamblin, C. L. Tracy, J. Neuefeind, R. C. Ewing, C. Trautmann, and M. Lang, Defect accumulation in swift heavy ion-irradiated CeO2 and ThO2, J. Mat. Chem. A 5, 12193-12201 (2017). 1822. Huang, Q., J. M. Rodgers, R. J. Hemley, and T. Ichiye, Flexibility of dihydrofolate reductase from a piezophile and a mesophile: A molecular dynamics study, J. Comput. Chem. 38, 1174-1182 (2017). 1821. Liu, H., I. I. Naumov, R. Hoffmann, N. W. Ashcroft, and R. J. Hemley, Novel structure with the potential for high Tc superconductivity in lantanum and yttrium hydrides at high pressure, Proc. Nat. Acad. Sci., 10.1073/pnas.1704505114 (2017). 1820. Wang, Y., W. Yang, G. Zou, J. Wu, J. L. Coffer, S. V. Sinogeikin, and J. Zhang, Anomalous surface doping effect in semiconductor nanowires, J. Phys. Chem. C 121, 11824-11830 (2017). 1819. Rittman, D. R., K. M. Turner, S. Park, A. F. Fuentes, C. Park, R. C. Ewing, and W. L. Mao, Strain engineered pyrochlore at high pressure, Sci. Reports 7, 2236 (2017). 1818. Hu, M., J. He, Z. Zhao, T. A. Strobel, W. Hu, D. Yu, H. Sun, L. Liu, Z. Li, M. Ma, Y. Kono, J. Shu, H. K. Mao, Y. Fei, G. Shen, Y. Wang, S. J. Juhl, J. Y. Huang, Z. Liu, B. Xu, Y. Tian, Compressed glassy carbon: An ultrastrong and elastic interpenetrating graphene network, Sci. Adv. 3, e1603213 (2017). 1817. Cusick, A. B., M. Lang, F. W. Zhang, F. Sun, K. Sun, W. Li, P. Kluth, C. Trautmann, and R. C. Ewing, Amorphization of Ta2O5 under swift heavy ion irradiation, Nucl. Instr. Meth. Phys. Res. B 407, 25-33 (2017). 1816. Abdel-Hafiez, M., D. Kumar, R. Thiyagarajan, Q. Zhang, R. T. Howie, K. Sethupathi, O. Volkova, A. Vasilev, W. Yang, H. K. Mao, and M. S. Ramachandra Rao, High-pressure behavior of superconducting boron-doped diamond, Phys. Rev. B 95, 174519 (2017). 1815. Shamp, A., E. Zurek, T. Ogitsu, D. E. Fratanduono, and S. Hamel, Properties of B4C in the shocked state for pressures up to 1.5 TPa, Phys. Rev. B 95, 184111 (2017). 1814. Zheng, Q., Z. Zeng, H. Lou, Y. Kono, B. Zhang, C. Kenney-Benson, C. Park, and W. L. Mao, Pressure-induced elastic anomaly in a polyamorphous metallic glass, Appl. Phys. Lett. 110, 221902 (2017). 1813. Yu, Z., W. Wu, P. Lu, J. Zhao, J. Cheng, Q. Hu, Y. Yuan, X. Li, C. Pei, F. Chen, Z. Yan, S. Yan, K. Yang, J. Sun, J. Luo, and L. Wang, Structural evolution behavior of manganese monophosphide under high pressure: Experimental and theoretical study, J. Phys. : Cond. Matt. 29, 254002 (2017). 1812. Turner, K. M., D. R. Rittman, R. A. Heymach, C. L. Tracy, M. L. Turner, A. F. Fuentes, W. L. Mao, and R. C. Ewing, Pressure-induced structural modifications of rare-earth hafnate pyrochlore, J. Phys. : Cond. Matt. 29, 255401 (2017). 1811. Ruiz-Fuertes, J., A. Friedrich, D. Errandonea, A. Segura, W. Morgenroth, P. Rodríguez-Hernández, A. Muñoz, and Y. Meng, Optical and structural study of the pressure-induced phase transition of CdWO4, Phys. Rev. B 95, 174105 (2017). 1810. Grzelak, A., J. Gawraczyński, T. Jaroń, M. Somayazulu, M. Derzsi, V. V. Struzhkin, and W. Grochala, Persistence of mixed and non-intermediate valence in the high-pressure structure of silver(I,III) oxide, AgO: A combined Raman, x-ray diffraction (XRD), and density functional theory (DFT) study, Inorg. Chem. 56, 5804-5812 (2017). 1809. Elatresh, S. F., W. Cai, N. W. Ashcroft, R. Hoffman, S. Deemyad, and S. A. Bonev, Evidence from Fermi surface analysis for the low-temperature structure of lithium, Proc. Nat. Acad. Sci. USA 114, 5389-5394 (2017). 1808. Zhang, F. X., K. Jin, S. Zhao, S. Mu, H. Bei, J. C. Liu, H. Z. Xue, D. Popov, C. Park, G. M. Stocks, W. J. Weber, and Y. Zhang, X-ray absorption investigation of local structural disorder in Ni1-xFex (x = 0.10, 0.20, 0.35, and 0.50) alloys, J. Appl. Phys. 121, 165105 (2017). 1807. Ye, S., J. Sun, X. Yi, Y. Wang, and Q. Zhang, Interaction between the exchanged Mn2+ and Yb3+ ions confined in zeolite-Y and their luminescence behaviours, Sci. Reports 7, 46219 (2017). 1806. Miao, M., J. Botana, M. Pravica, D. Sneed, and C. Park, Inner-shell chemistry under high pressure, Jpn. J. Appl. Phys. 56, 05FA10 (2017). 1805. Lin, C., J. S. Smith, S. V. Sinogeikin, and G. Shen, Effect of stress on melting of rhombohedral bismuth, Appl. Phys. Lett. 110, 161904 (2017). 1804. Cai, W., M. Dunuwille, J. He, T. V. Taylor, J. K. Hinton, M. C. MacLean, J. J. Molaison, A. M. dos Santos, S. Sinogeikin, and S. Deemyad, Deuterium isotope effects in polymerization of benzene under pressure, J. Phys. Chem. Lett. 8, 1856-1864 (2017). 1803. Yim, W. L., H. Shi, Y. Liang, R. J. Hemley, and J. S. Tse, Band gaps and effective oscillator models for solid hydrogen and H2O ice at high pressure, in Correlations in Condensed Matter under Extreme Conditions (eds. G. G. N. Angilella and La Magna, A.) 107-126 (World Scientific, 2017). 1802. Daviau, K. and K. K. M. Lee, Zinc-blende to rocksalt transition in SiC in a laser-heated diamond-anvil cell, Phys. Rev. B 95, 134108 (2017). 1801. Bhadram, V. S., L. Krishna, E. S. Toberer, R. Hrubiak, E. Greenberg, V. B. Prakapenka, and T. A. Strobel, Pressure-induced structural transition in chalcopyrite ZnSiP2, Appl. Phys. Lett. 110, 182106 (2017). 1800. Ryu, Y. J., C. S. Yoo, M. Kim, X. Yong, J. Tse, S. K. Lee, and E. J. Kim, Hydrogen-doped polymeric carbon monoxide at high pressure, J. Phys. Chem. C 121, 10078-10086 (2017). 1799. Wang, X., X. Chen, Y. Zhou, C. Park, C. An, Y. Zhou, R. Zhang, C. Gu, W. Yang, and Z. Yang, Pressure-induced iso-structural phase transition and metallization in WSe2, Sci. Reports 7, 46694 (2017). 1798. Hong, F., B. Yue, N. Hirao, Z. Liu, and B. Chen, Significant improvemnet on the electrical conductivity of a transition metal oxide via high pressure treatment, Sci. Reports 7, 44078 (2017). 1797. Wu, X. J. F. Lin, P. Kaercher, Z. Mao, J. Liu, V. Prakapenka, and H. R. Wenk, Seismic anisotropy of the D” Layer induced by (001) deformation of post-perovskite, Nature Comm. 8, 14669 (2017). 1796. Shamp, A. and E. Zurek, Superconductivity in hydrides doped with main group elements under pressure, Novel Supercond. Mater. 3, 14-22 (2017). 1795. Shaw, W. L. and D. D. Dlott, Mechanochemistry for shock wave energy dissipation, AIP Conf. Proc. 1793, 030026 (2017)..
1794. Dlott, D. D., Shock compression dynamics under a microscope, AIP Conf. Proc. 1793, 020001 (2017). 1793. Bassett, W. P. and D. D. Dlott, 32-Channel pyrometer with high dynamic range for studies of shocked nanothermites, AIP Conf. Proc. 1793, 060012 (2017). 1792. Wang, J., A. A. Banishev, W. P. Bassett, and D. D. Dlott, Fluorescence depolarization measurements under shock compression, AIP Conf. Proc. 1793, 060007 (2017). 1791. Adcock, C. T., O. Tschauner, E. M. Hausrath, A. Udry, S. N. Luo, Y. Cai, M. Ren, A. Lanzirotti, M. Newville, M. Kunz, and C. Lin, Shock-transformation of whitlockite to merrillite and the implications for meteoritic phosphate, Nature Comm. 8, 14667 (2017). 1790. de Grouchy, C. J. L., C. Sanloup, B. Cochain, J. W. E. Drewitt, Y. Kono, and C. Crépisson, Lutetium incorporation in magmas at depth: Changes in melt local environment and the influence on partitioning behaviour, Earth Planet. Sci. Lett. 464, 155-165 (2017). 1789. Hrubiak, R., Y. Meng, and G. Shen, Microstructures define melting of molybdenum at high pressures, Nature Comm. 8, 14562 (2017). 1788. Liu, X., Y. Y. Chang, S. N. Tkachev, C. R. Bina, and S. D. Jacobsen, Elastic and mechanical softening in boron-doped diamond, Sci. Reports 7, 42921 (2017). 1787. Zhang, G., F. Liu, T. Gu, Y. Zhao, N. Li, W. Yang, and S. Feng, Enhanced ferroelectric and visible-light photoelectric properties in multiferroic KBiFe2O5 via pressure-induced phase transition, Adv. Electron. Mater. 3, 1600498 (2017). 1786. Kim, J., B. Hou, C. Park, C. B. Bahn, J. Hoffman, J. Black, A. Bhattacharya, N. Balke, H. Hong, J. H. Kim, and S. Hong, Effect of defects on reaction of NiO surface with Pb-contained solution, Sci. Reports 7, 44805 (2014). 1785. Liu, Y., et al., Superconductivity in HfTe5 across weak to strong topological insulator transition induced via pressures, Sci. Reports 7, 44367 (2017). 1784. Sun, F., G. Q. Zhao, C. A. Escanhoela Jr., B. J. Chen, R. H. Kou, Y. G. Wang, Y. M. Xiao, P. Chow, H. K. Mao, D. Haskel, W. G. Yang, and C. Q. Jin, Hole doping and pressure effects on the II-II-V-based diluted magnetic semiconductor (Ba1−xKx)(Zn1−yMny)2As2, Phys. Rev. B 95, 094412 (2017). 1783. Hu, Q. Y., J. F. Shu, W. Yang, C. Park, M. W. Chen, T. Fujita, H. K. Mao, and H. W. Sheng, Stability limits and transformation pathways of α-quartz under high pressure, Phys. Rev. B 95, 104112 (2017). 1782. Jacobsen, M. K., N. Velisavljevic, Y. Kono, C. Park, and C. Kenney-Benson, Shear-driven instability in zirconium at high pressure and temperature and its relationship to phase-boundary behaviors, Phys. Rev. B 95, 134101 (2017). 1781. Ji, C., A. F. Goncharov, V. Shukla, N. K. Jena, D. Popov, B. Li, J. Wang, Y. Meng, V. B. Prakapenka, J. S. Smith, R. Ahuja, W. Yang, and H. K. Mao, Stability of Ar(H2)2 to 358 GPa, Proc. Nat. Acad. Sci. 114, 3596-3600 (2017). 1780. Lin, Y., E. T. Welchman, T., and W. L. Mao, The structure and unconventional dihydrogen bonding of a pressure-stabilized hydrogen-rich (NH3BH3)(H2)x (x = 1.5) compound, J. Mat. Chem. A 5, 7111-7117 (2017). 1779. Shu, Y., D. Yu, W. Hu, Y. Wang, G. Shen, Y. Kono, B. Xu, J. He, Z. Liu, and Y. Tian, Deep melting reveals liquid structural memory and anomalous ferromagnetism in bismuth, Proc. Nat. Aca. Sci. 114, 3375-3380 (2017). 1778. Yu, H., W. Lao, L. Wang, K. Li, and Y. C. Chen, Pressure-stabilized tin selenide phase with an unexpected stoichiometry and a predicted superconducting state at low temperatures, Phys. Rev. Lett. 118, 137002 (2017). 1777. Zhang, H., H. Liu, K. Wei, O. O. Kurakevych, Y. Le Godec, Z. Liu, G. S. Nolas, and T. A. Strobel, BC8 silicon (Si-III) is a narrow-gap semiconductor, Phys. Rev. Lett. 118, 146601 (2017). 1776. Fu, S., J. Yang, and J. F. Lin, Abnormal elasticity of single-crystal magnesiosiderite across the spin transition in Earth's lower mantle, Phys. Rev. Lett. 118, 036402 (2017). 1775. Rodgers, J. M. and T. Ichiye, Multipole moments of water molecules and the aqueous solvation of monovalent ions, J. Mol. Liqu. 228, 54-62 (2017). 1774. Ham, K. J., Y. Vohra, Y. Kono, A. A. Wereszczak, and P. Patel, White-beam x-ray diffraction and radiography studies on high-boron containing borosilicate glass at high pressure, High Press. Res. 37, 233-243 (2017). 1773. Liu, J., N. Dauphas, M. Roskosz, M. Y. Hu, H. Yang, W. Bi, J. Zhao, E. E. Alp, J. Y. Hu, and J. F. Lin, Iron isotopic fractionation between silicate mantle and metallic core at high pressure, Nature Comm. 8, 14377 (2017). 1772. Cochain, B., C. Sanloup, C. Leroy, and Y. Kono, Viscosity of mafic magmas at high pressures, Geophys. Res. Lett. 44, 818-826 (2017). 1771. Raju, S. V., R. Hrubiak, V. Drozd, and S. Saxena, Piezochromism and structural and electronic properties of benz[a]anthracene under pressure, Mat. Manufact. Process., doi.org/10.1080/10426914.10422016.11269913 (2017). 1770. Cai, W., R. Zhang, Y. Yao, and S. Deemyad, Piezochromism and structural and electronic properties of benz[a]anthracene under pressure, Phys. Chem. Chem. Phys 19, 6216-6223 (2017). 1769. Zhou, D., Q. Li, W. T. Zheng, Y. Ma, and C. Chen, Structural metatransition of energetically tangled crystalline phases, Phys. Chem. Chem. Phys. 19, 4560-4566 (2017). 1768. Mao, Z., F. W. Wang, J. F. Lin, S. Fu, J. Yang, X. Wu, T. Okuchi, N. Tomioka, V. B. Prakapenka, Y. Xiao, and P. Chow, Equation of state and hyperfine parameters of high-spin bridgmanite in the Earth's lower mantle by synchrotron X-ray diffraction and Mössbauer spectroscopy, Am. Mineral. 102, 357-368 (2017). 1767. Pravica, M., M. White, and Y. Wang, A novel method for generating molecular mixtures at extreme conditions: The case of fluorine and oxygen, AIP Conf. Proc 1793, 060030 (2017). 1766. Nisr, C., Y. meng, A. A. MacDowell, J. Yan, V. Prakapenka, and S. H. Shim, Thermal expansion of SiC at high pressure-temperature and implications for thermal convection in the deep interiors of carbide exoplanets, J. Geophys. Res. Planets 122, 124-133 (2017). 1765. Hu, Q., D. Y. Kim, J. Liu, Y. Meng, L. Yan, D. Zhang, W. L. Mao, and H. K. Mao, Dehydrogenation of goethite in Earth's deep lower mantle, Proc. Nat. Acad. Sci. 114, 1498-1501 (2017). 1764. Rittman, D. R., K. M. Turner, S. Park, F. Fuentes, J. Yan, R. C. Ewing, and W. L. Mao, High-pressure behavior of A2B2O7 pyrochlore (A=Eu, Dy; B=Ti, Zr), J. Appl. Phys. 121, 045902 (2017). 1763. Liu, G., L. Kong, J. Gong, W. Yang, H. K. Mao, Q. Hu, Z. Liu, R. D. Schaller, D. Zhang, and T. Xu, Pressure-induced bandgap optimization in lead-based perovskites with prolonged carrier lifetime and ambient retainability, Adv. Funct. Mater. 27, 1604208 (2017). 1762. Rittman, D. R., R. I. Palomares, and M. Lang, Structure and elastic properties of Ln-doped UO2 (Ln = La, Nd) at high pressure, J. Nuclear Mat. 121, 045902 (2017). 1761. Gomis, O., B. Lavina, P. Rodriguez-Hernandez, A. Muñoz, R. Errandonea, D. Errandonea, and M. Bettinelli, High-pressure structural, elastic, and thermodynamic properties of zircon-type HoPO4 and TmPO4, J. Phys. : Cond. Matt. 29, 095401 (2017). 1760. Li, Q., S. Li, K. Wang, Y. Zhou, Z. Quan, Y. Meng, Y. Ma, and B. Zou, Structural tuning and piezoluminescence phenomenon in trithiocyanuric acid, J. Phys. Chem. C 121, 1870-1885 (2017). 1759. Lin, C., J. S. Smith, S. V. Sinogeikin, Y. Kono, C. Park, C. Kenney-Benson, and G. Shen, A metastable liquid melted from a crystalline solid under decompression, Nature Comm. 8, 14260 (2017). 1758. Yu, Z., Q. Wang, Y. Ma, and L. Wang, X-ray diffraction and spectroscopy study of nano-Eu2O3 structural transformation under high pressure, J. Alloy Comp. 701, 542-548 (2017). 1757. Childress, L. B. and S. D. Jacobsen, High-pressure high-temperature Raman spectroscopy of kerogen: relevance to subducted organic carbon, Am. Mineral. 102, 391-403 (2017). 1756. Huang, Q., J. M. Rodgers, R. J. Hemley, and T. Ichiye, Extreme biophysics: Enzymes under pressure, J. Comput. Chem. 38, 1174-1182 (2017). 1755. Mauger, L., J. E. Herriman, O. Hellman, S. J. Tracy, M. S. Lucas, J. A. Muñoz, Y. Xiao, J. Li, and B. Fultz, Phonons and elasticity of cementite through the Curie temperature, Phys. Rev. B 95, 024308 (2017). 1754. Miao, M., R. Hoffmann, I. I. Naumov, and R. J. Hemley, Quasimolecules in compressed lithium, Agnew. Chem. Int. Ed. 56, 972-975 (2017). 1753. Tomasino, D. and C. S. Yoo, Time-resolved x-ray diffraction of Ti in dynamic-DAC, AIP Conf. Proc. 1793, 060002 (2017). 1752. Li, Q., S. Li, K. Wang, Z. Quan, Y. Meng, and B. Zou, High-pressure study of perovskite-like organometal halide: Band-gap narrowing and structural evolution of [NH3-(CH2)4-NH3]CuCl4, J. Phys. Chem. Lett. 8, 500-506 (2017). 1751. Efthimiopoulos, I., T. Lochbiler, V. Tsurkan, A. Loidl, V. Felea, and Y. Wang, Structural behavior of ZnCr2S4 spinel under pressure, J. Phys. Chem. C 121, 769-777 (2017). 1750. Jin, M. L., F. Sun, L. Y. Xing, S. J. Zhang, S. M. Feng, P. P. Kong, W. M. Li, X. C. Wang, J. L. Zhu, Y. W. Long, H. Y. Bai, C. Z. Gu, R. C. Yu, W. Yang, Y. Zhao, H. K. Mao, and C. Q. JIn, Superconductivity bordering Rashba type topological transition, Sci. Reports 7, 39699 (2017). 1749. Zhang, F. X., S. Zhao, K. Jin, H. Bei, D. Popov, C. Park, J. Neufeind, J. K. R. Weber, and Y. Zhang, Pressure-induced fcc to hcp phase transition in Ni-based high entropy solid solution alloys, Appl. Phys. Lett. 110, 011902 (2017). 1748. Tafti, F. F., M. S. Torikachvili, R. S. Stillwell, B. Baer, E. Stavrou, S. T. Weir, Y. K. Vohra, H. Y. Yang, E. F. McDonnell, S. K. Kushwaha, Q. D. Gibson, R. J. Cava, and J. R. Jeffries, Tuning the electronic and the crystalline structure of LaBi by pressure: From extreme magnetoresistance to superconductivity, Phys. Rev. B 95, 014507 (2017).